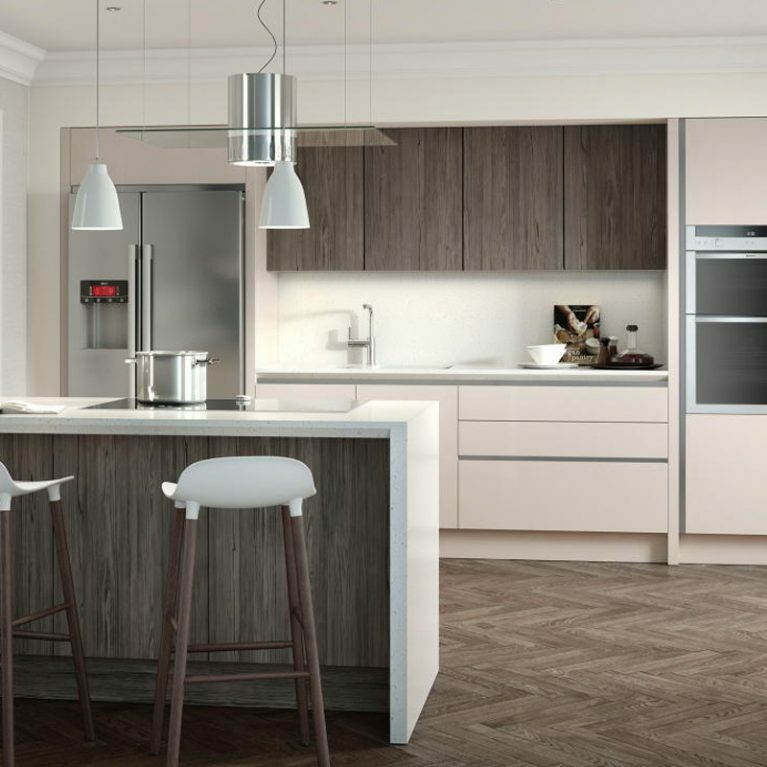 A feat of contemporary kitchen design, the Porter Alabaster is a gorgeous and modern kitchen with a high-gloss finish that adds light and space to your kitchen area. 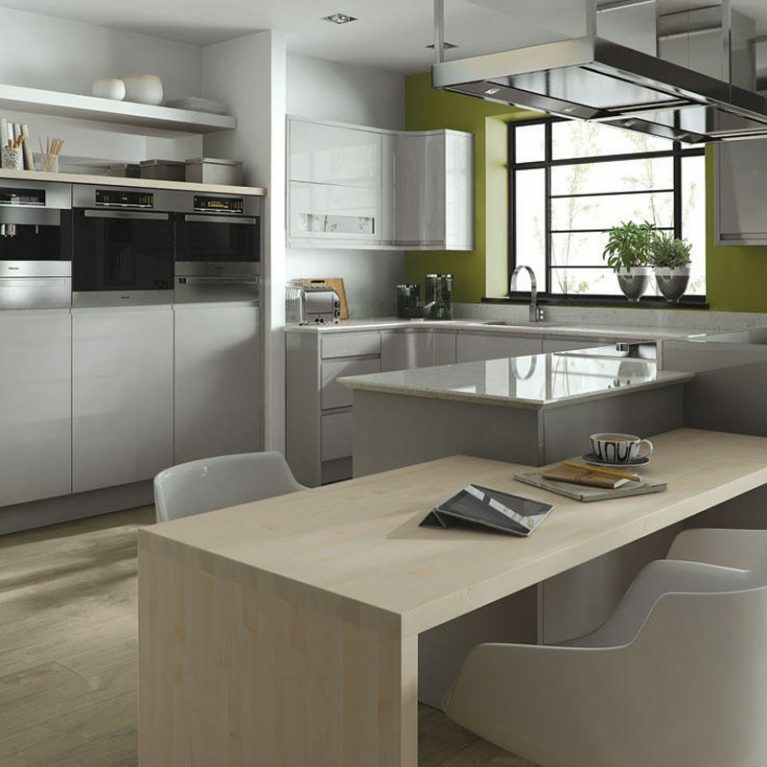 This super streamlined kitchen has an air of simplicity about it, creating a clean and sleek look for the heart of your home. 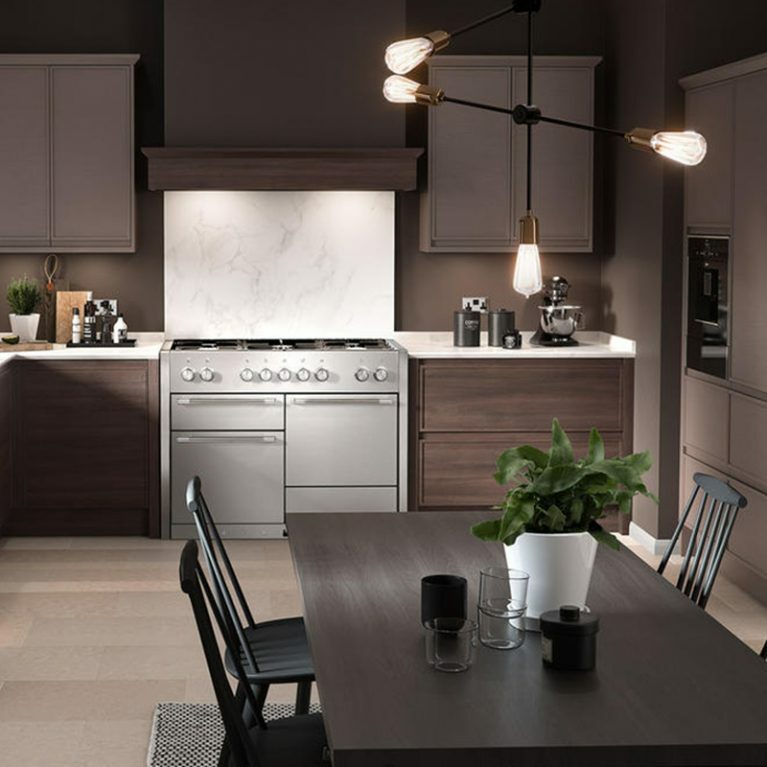 Having said that, in true shaker-style kitchen fashion, you’ll be amazed by the ample amount of storage opportunities you’ll find with the Porter contemporary kitchen design. 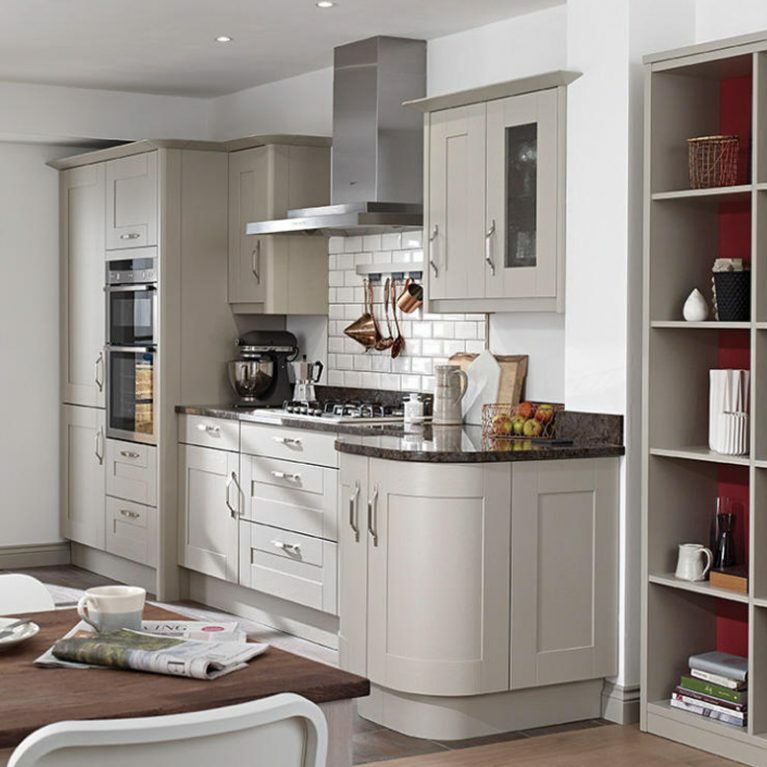 It’s crafted for those who like their kitchen accessories to have a home, offering a beautiful array of storage to keep your kitchen clean, tidy and free of clutter. 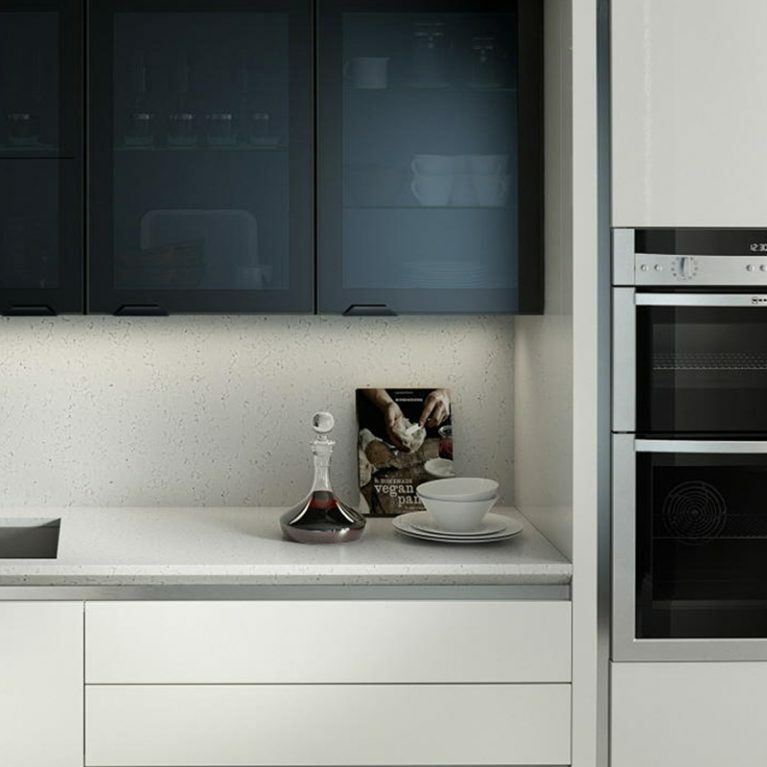 The high gloss lacquered finish heightens the simplicity of the design, whilst offering a truly unique look that is easy to clean and maintain. 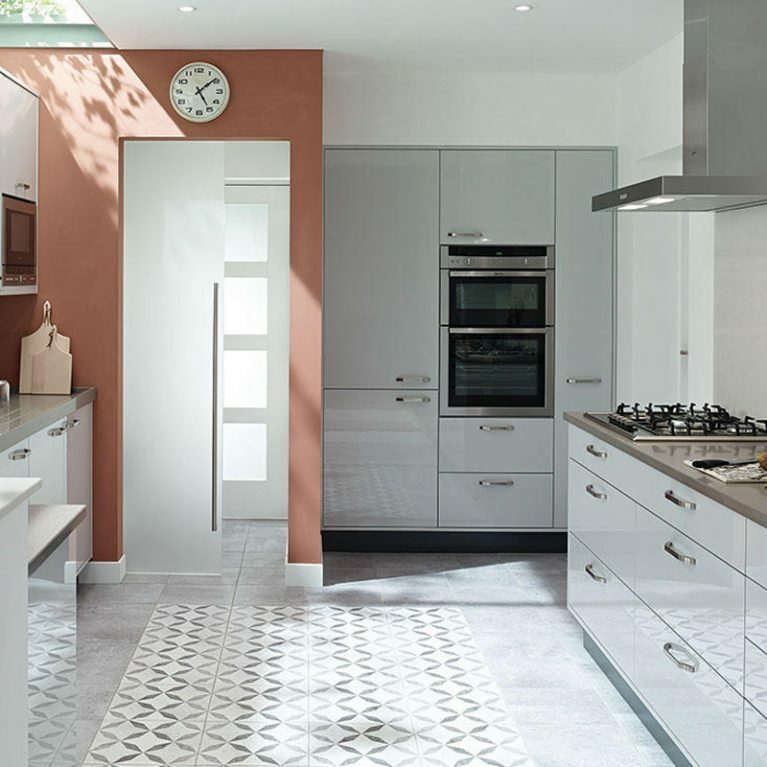 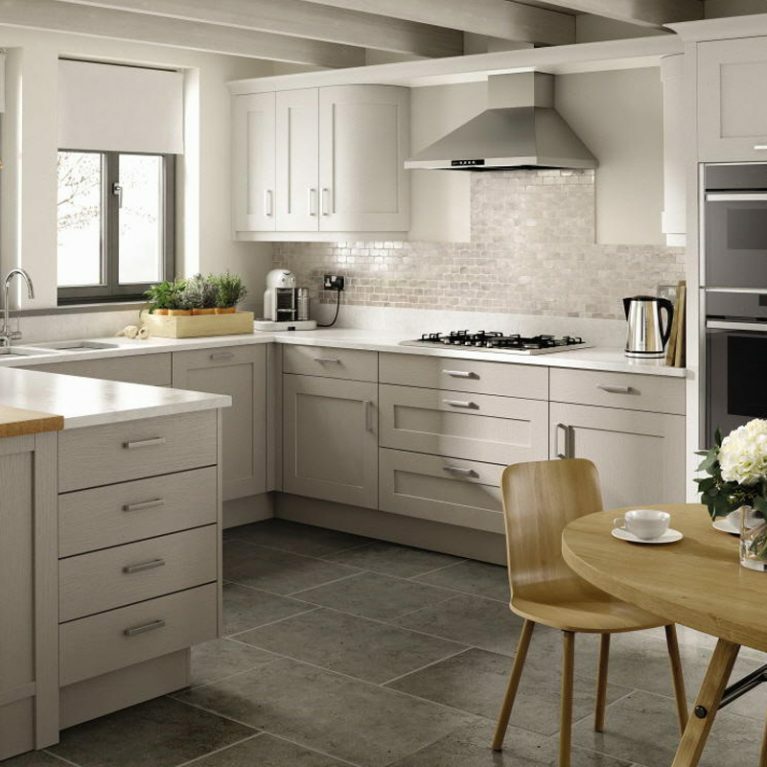 Pictured here in the wonderfully neutral shade ‘alabaster’, you’ll notice how this off-white hue is the perfect natural foundation colour, lending itself seamlessly to blend in with your dream kitchen colour palette. 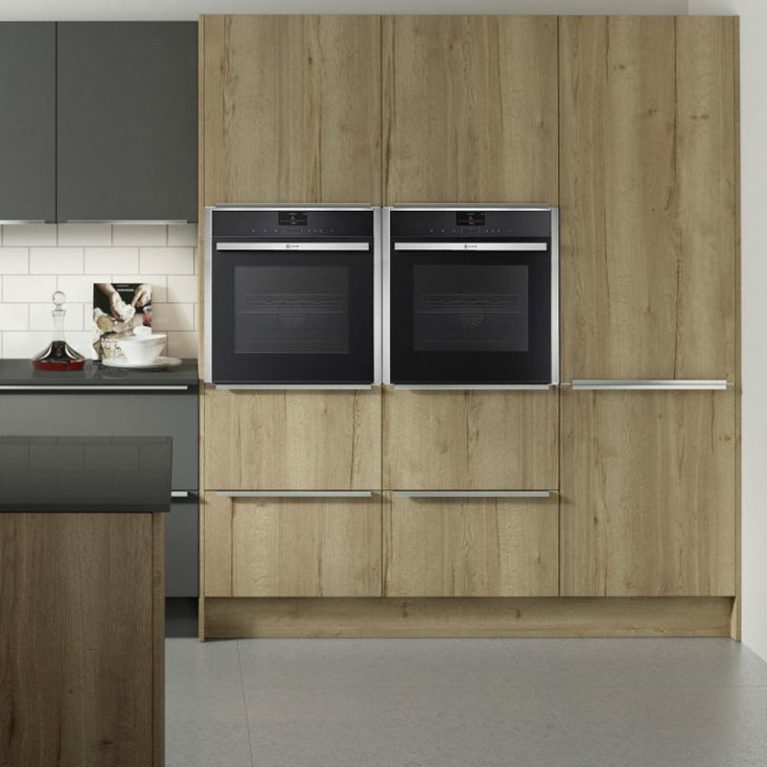 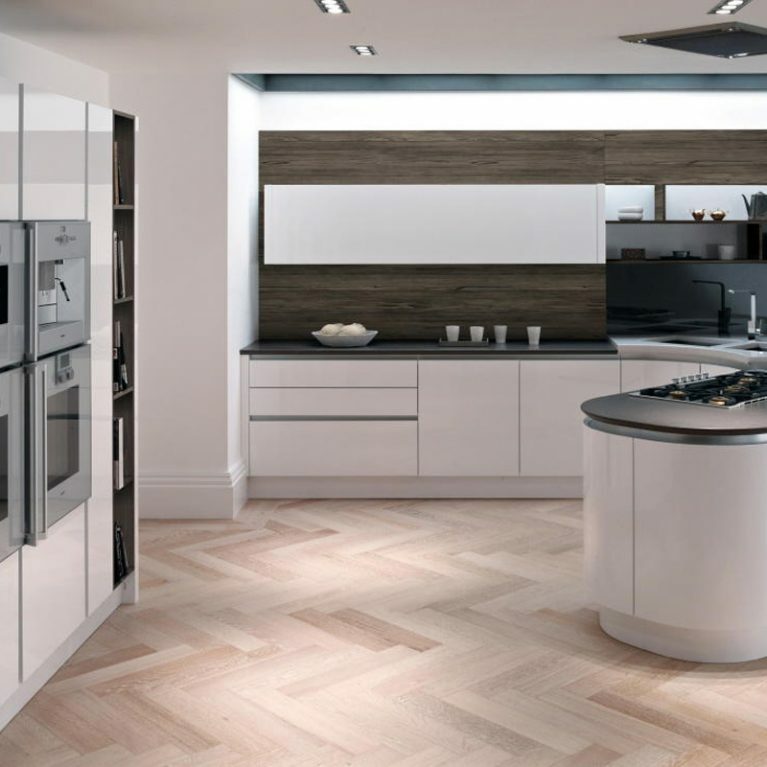 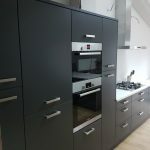 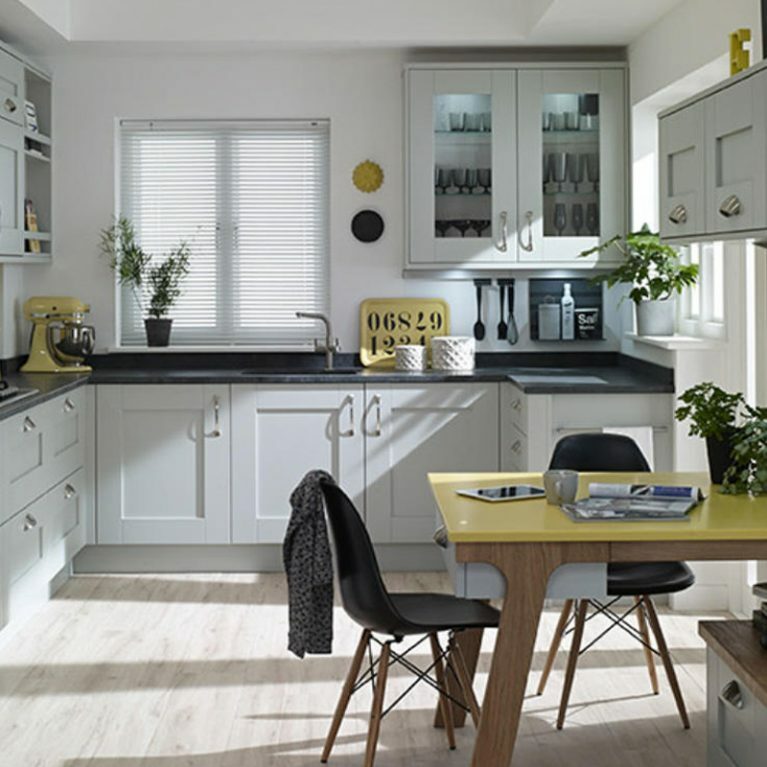 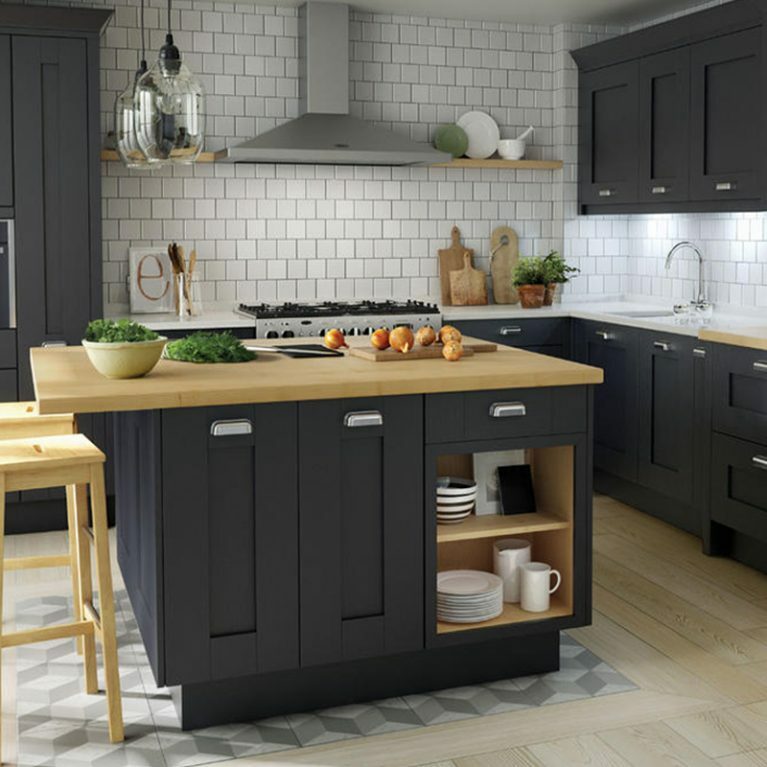 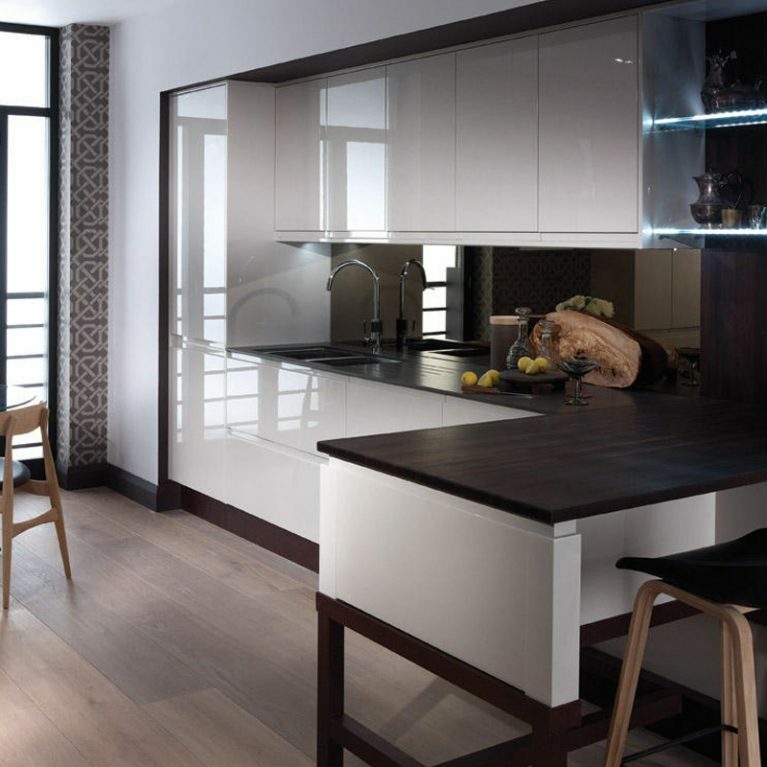 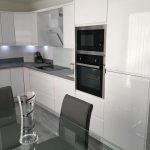 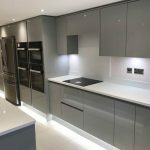 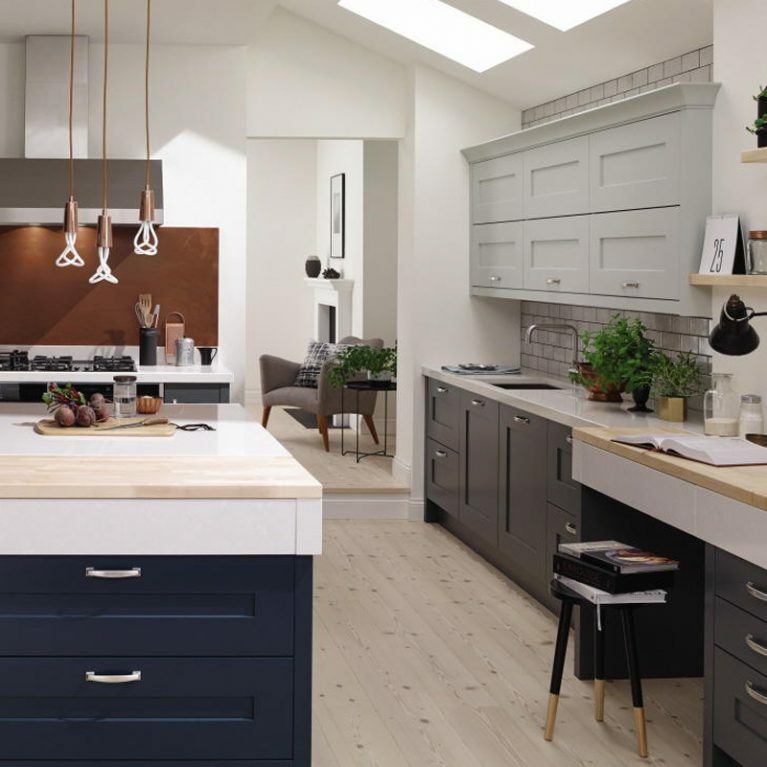 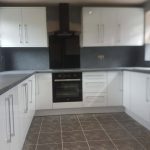 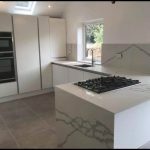 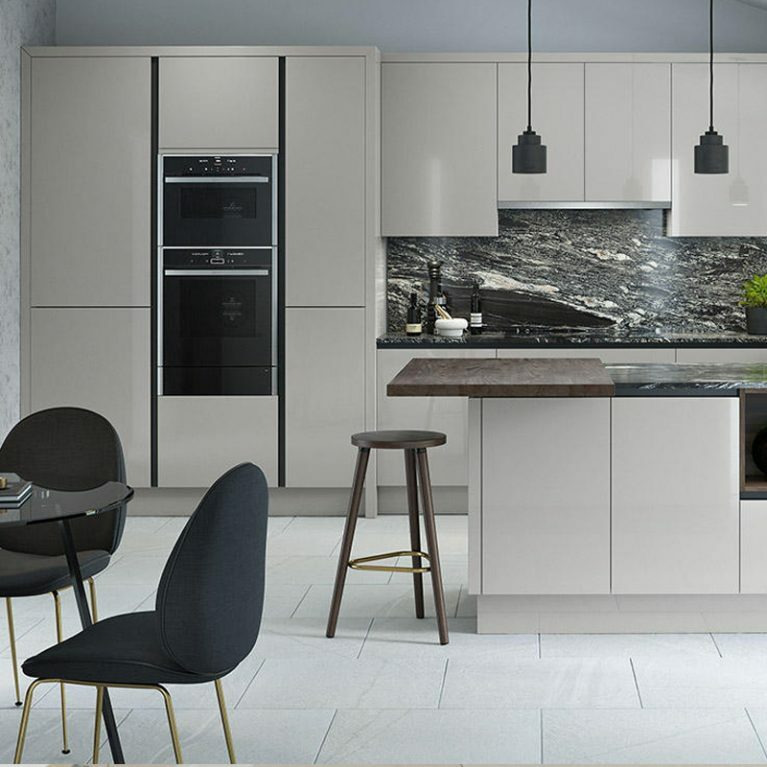 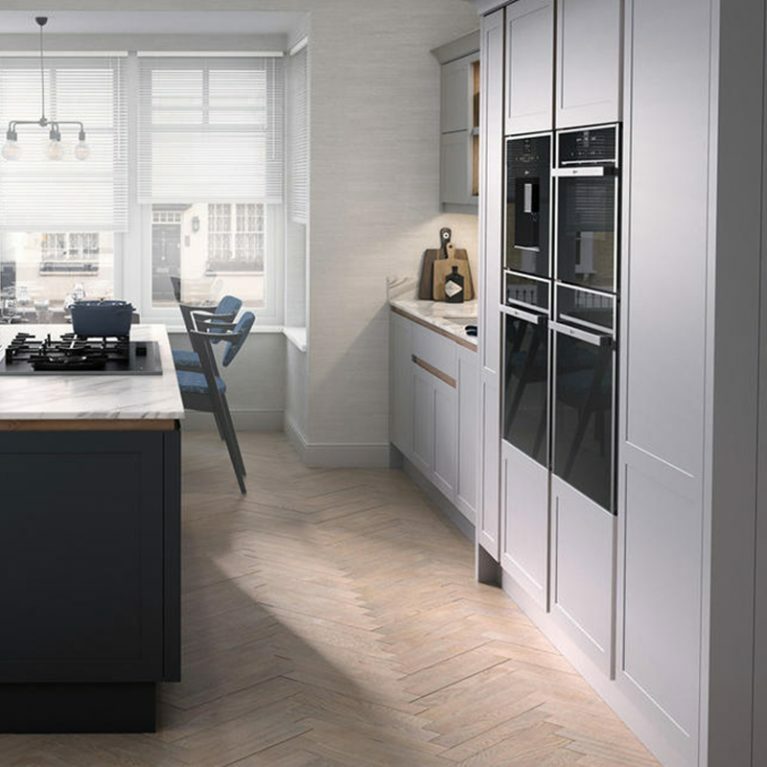 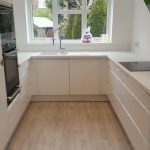 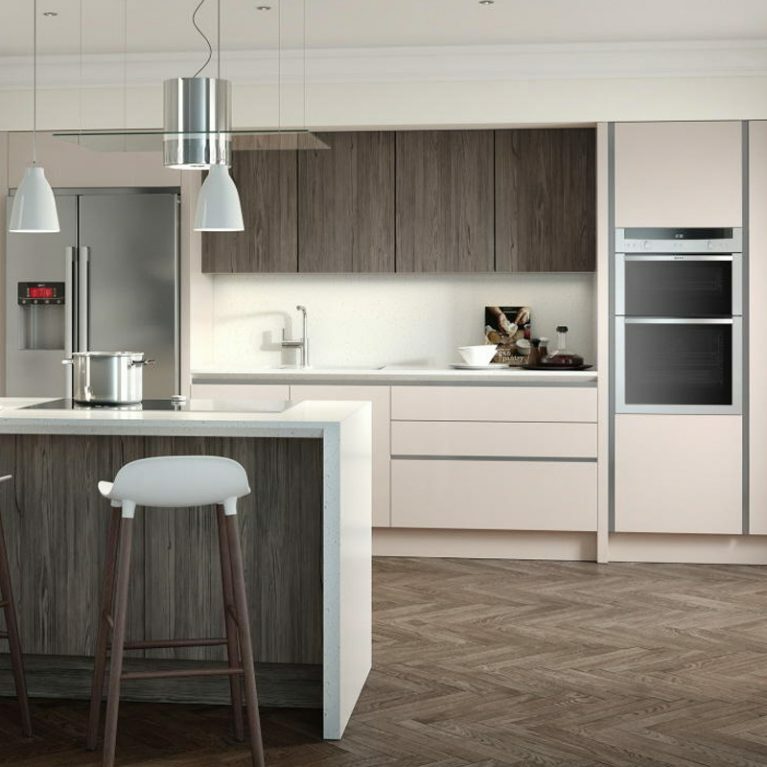 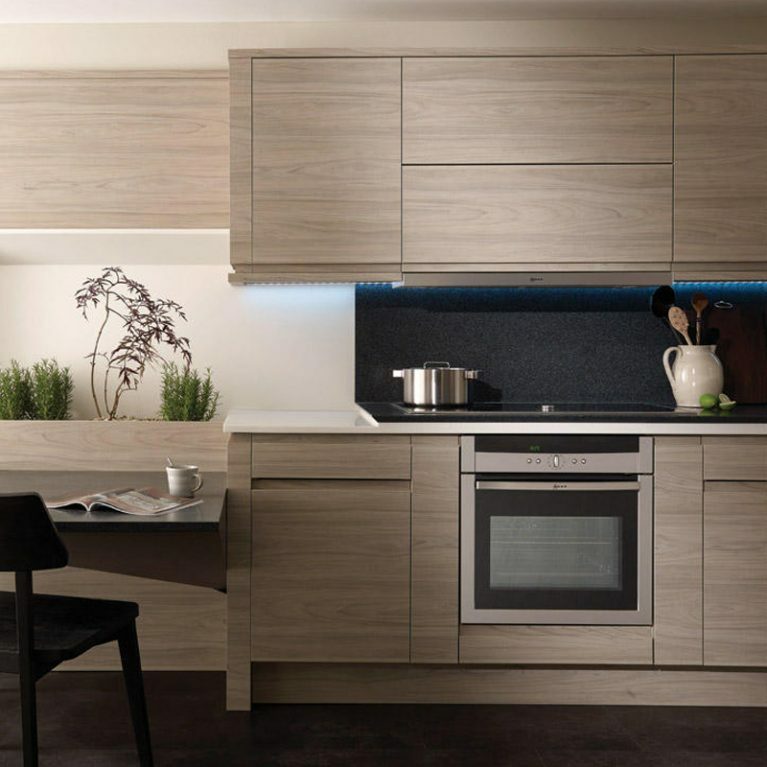 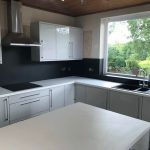 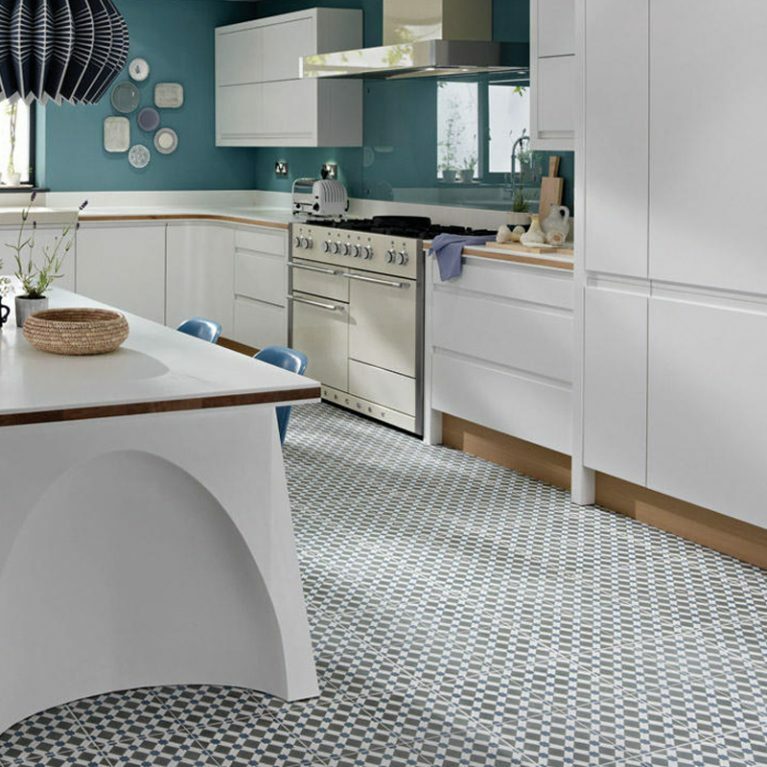 However, as with all kitchens available at Number One Kitchens, the Porter contemporary kitchen design is completely customisable to meet your personal tastes. 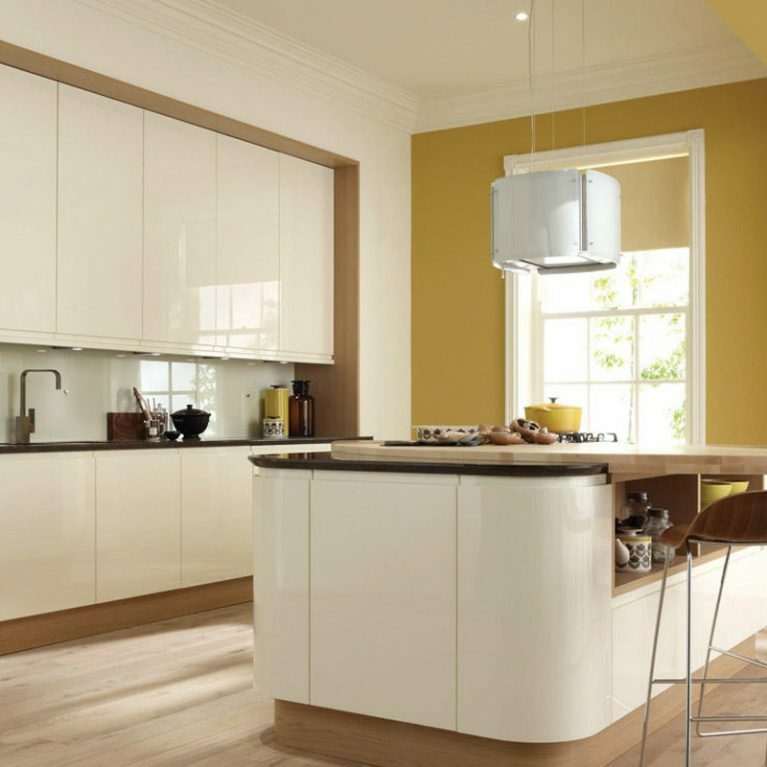 With 27 colours to choose from, including everything from alabaster and more neutral shades to something a little more vibrant in yellow or orange perhaps. 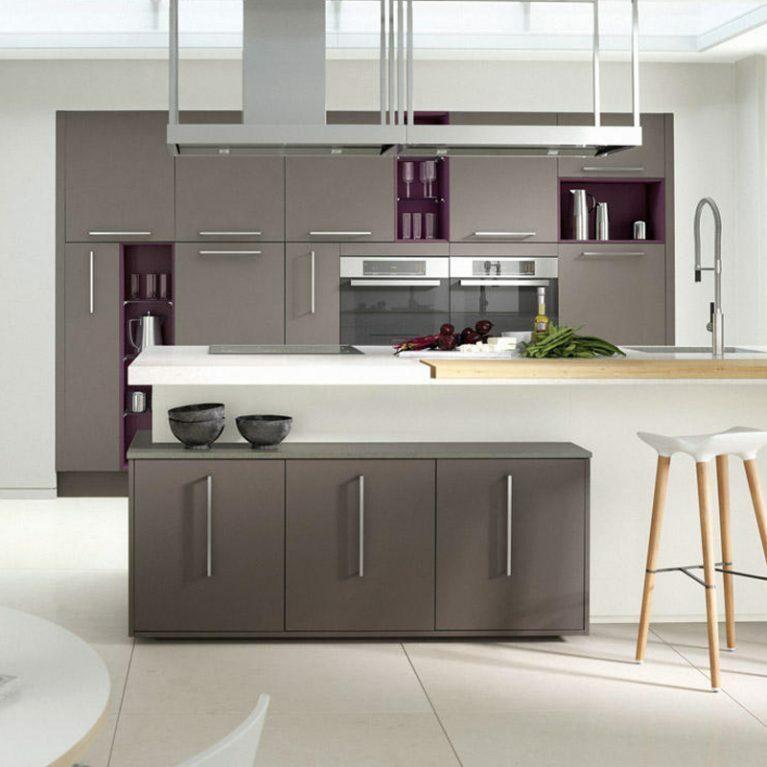 Each of the paint shades are available in a gloss or matte finish, depending on your personal taste. 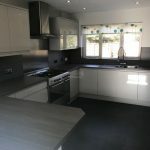 As you can see from the pictures, however, the high-gloss lacquered finish looks truly remarkable on the Porter contemporary kitchen design. 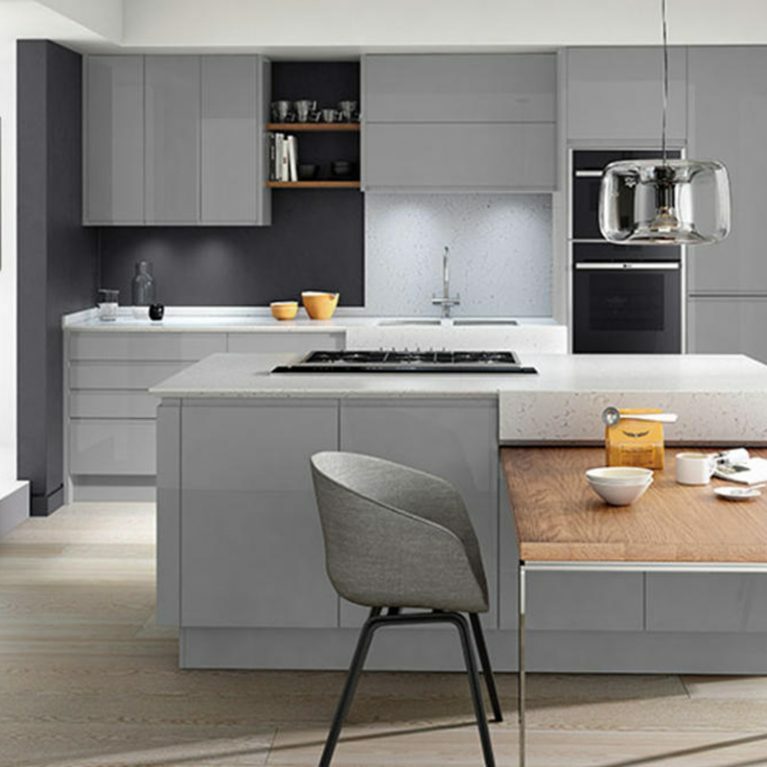 A high-shine grey work surface has been added to compliment the alabaster white, creating a wonderful contemporary neutral colour palette, as well as promising you an ideal amount of surface space for food preparation and entertaining. 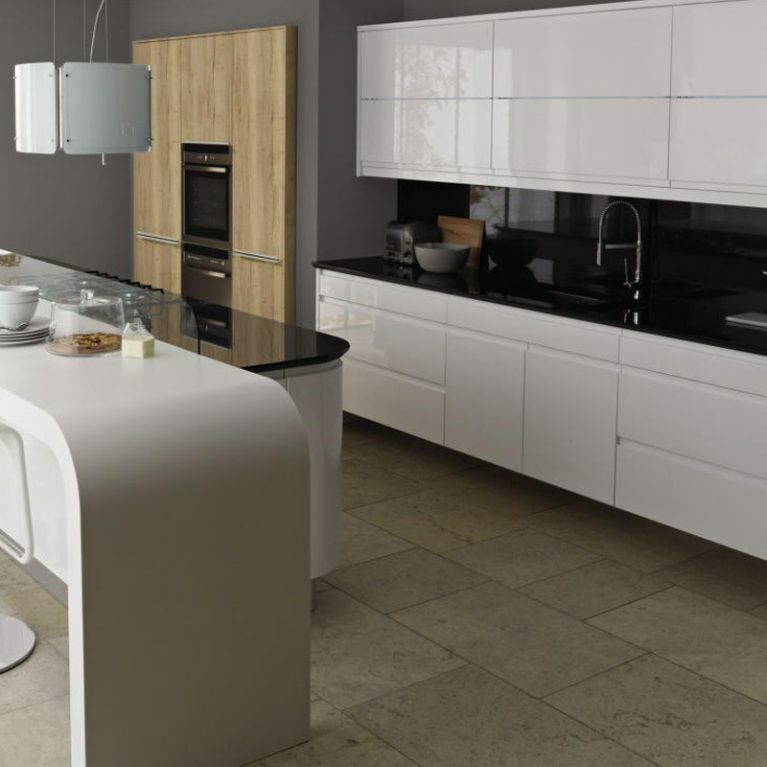 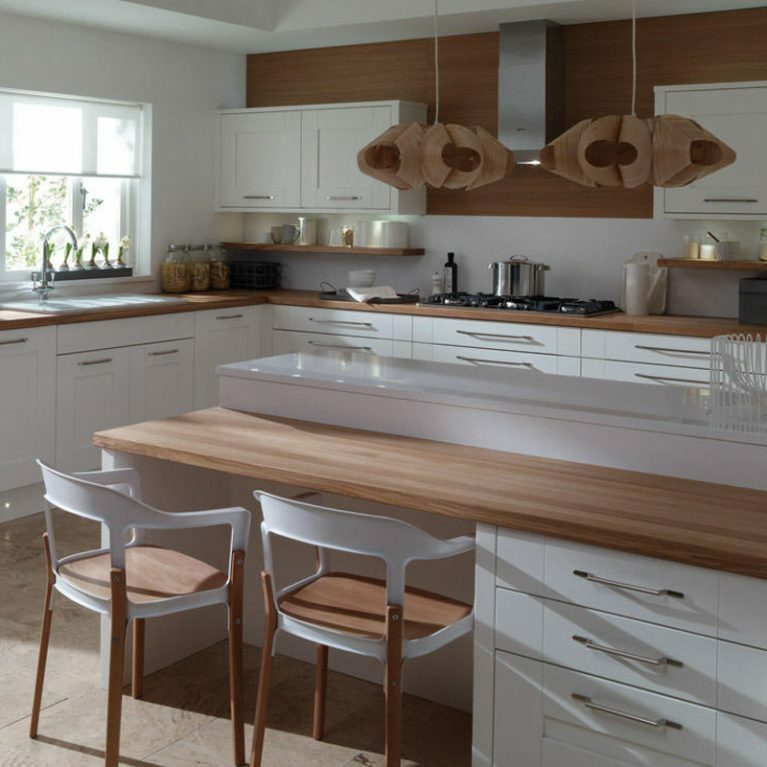 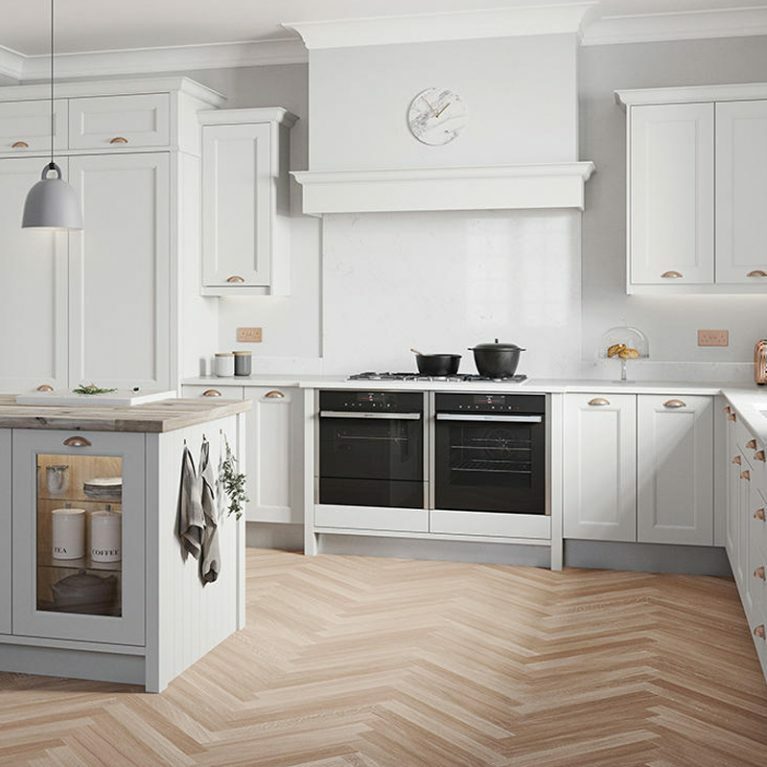 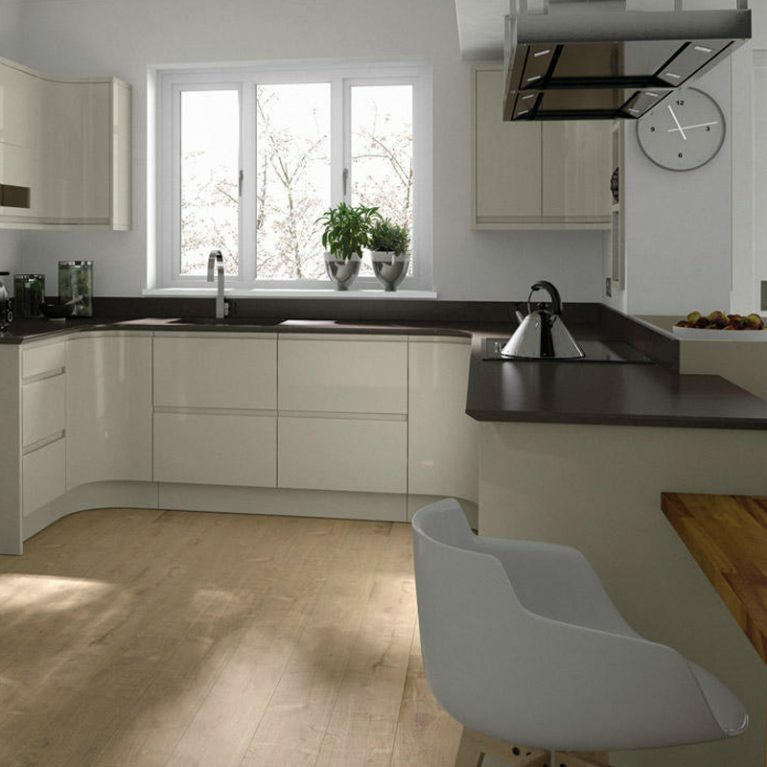 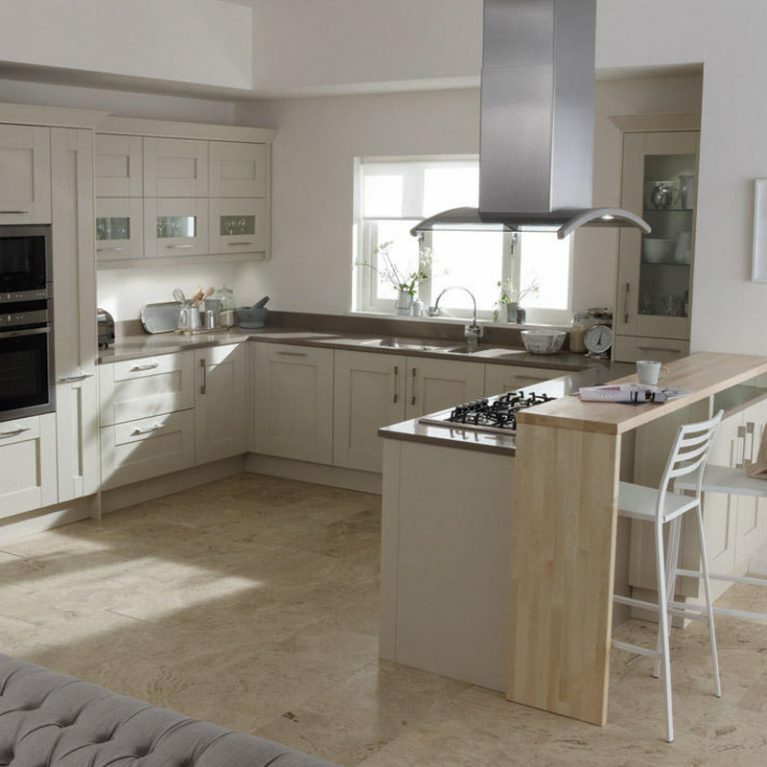 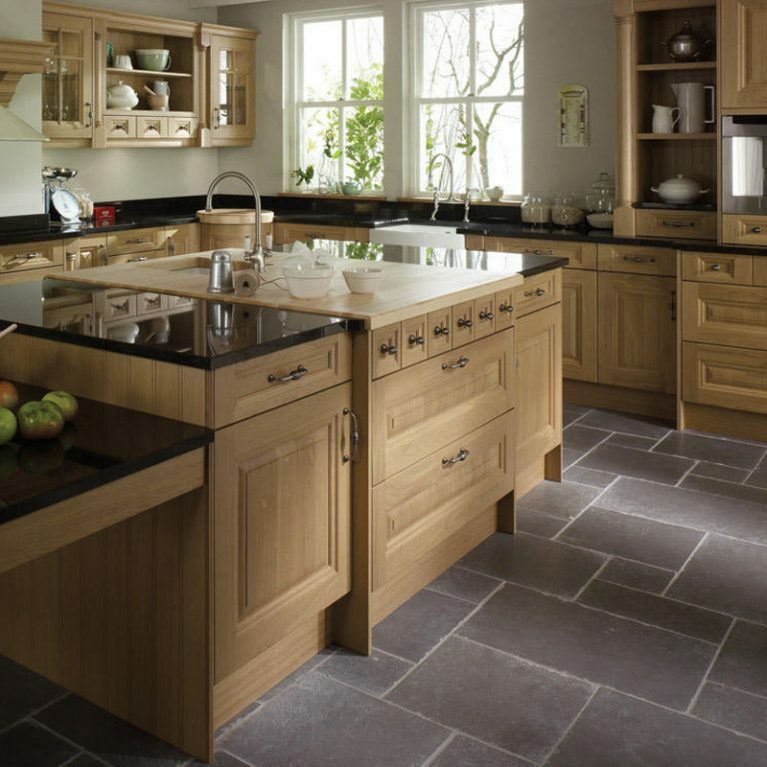 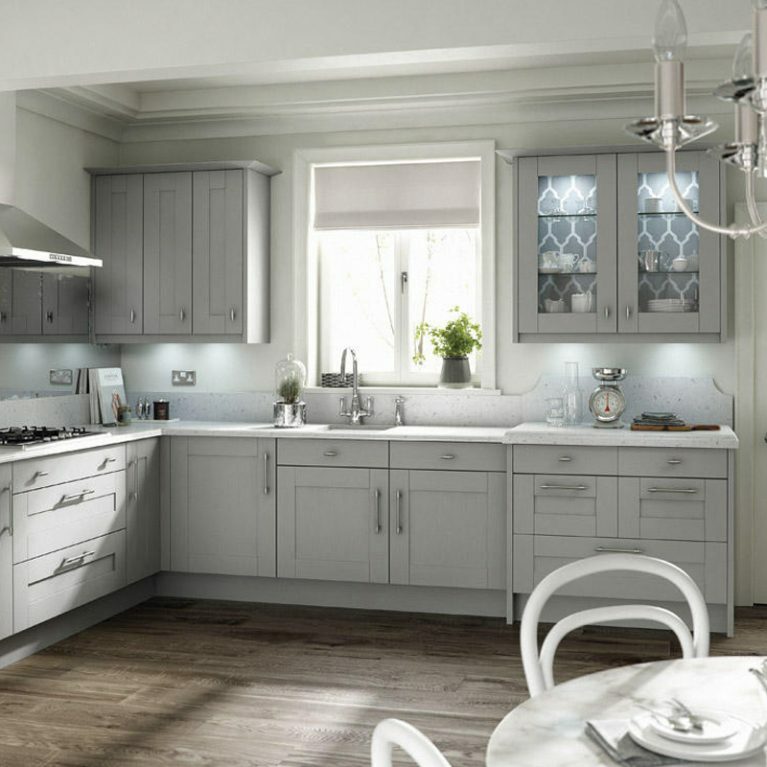 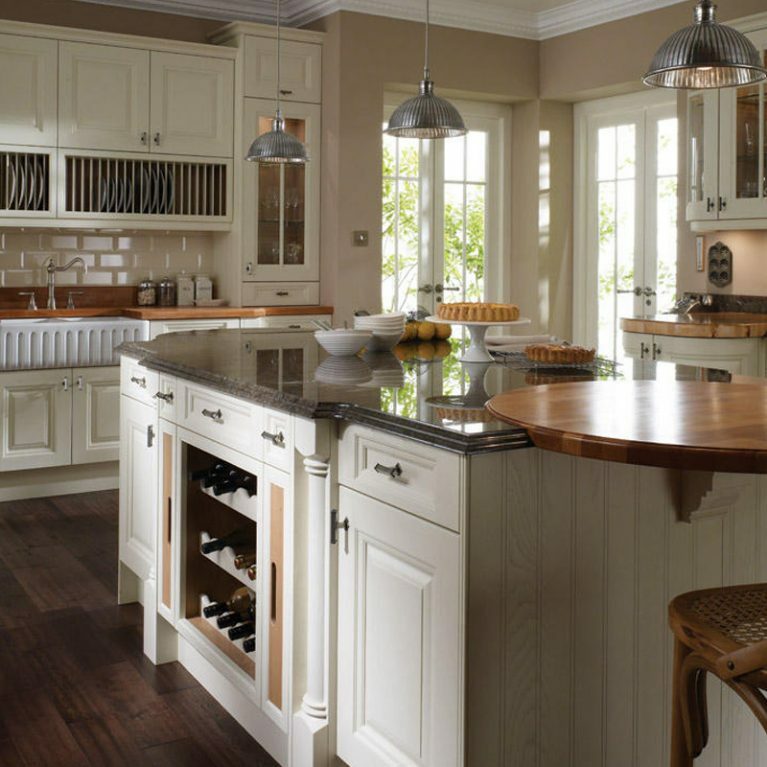 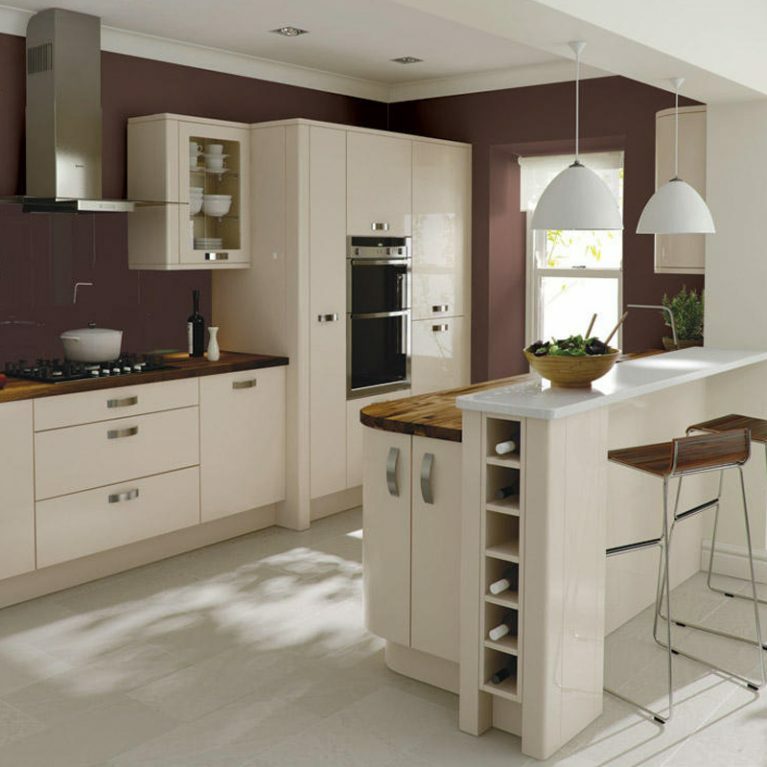 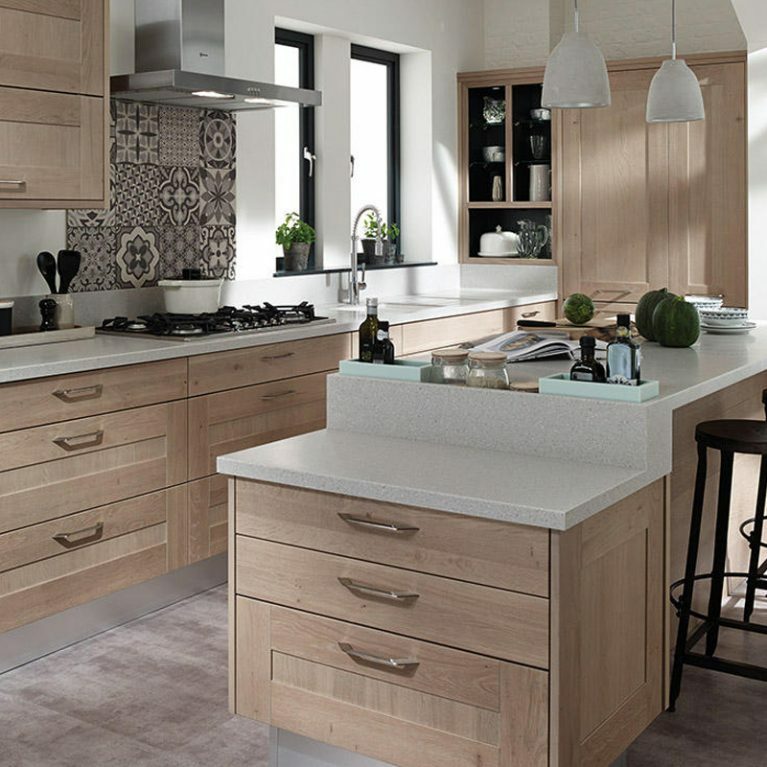 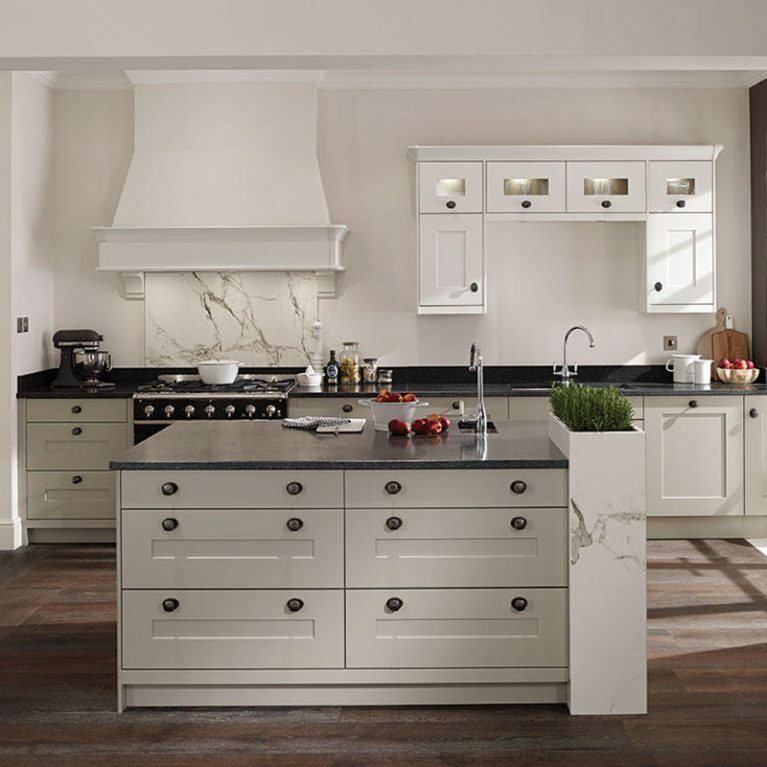 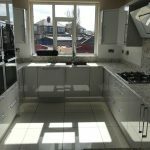 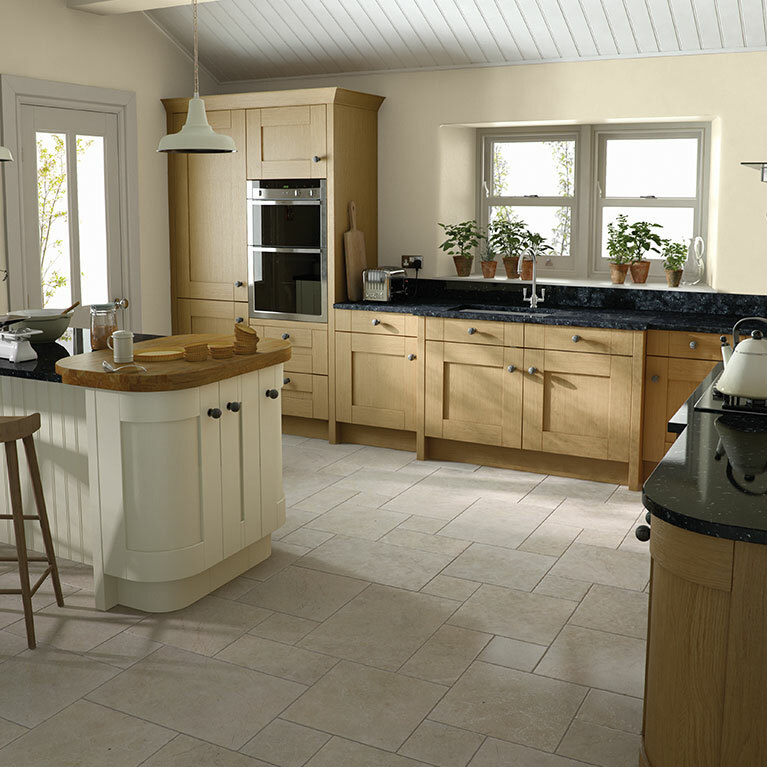 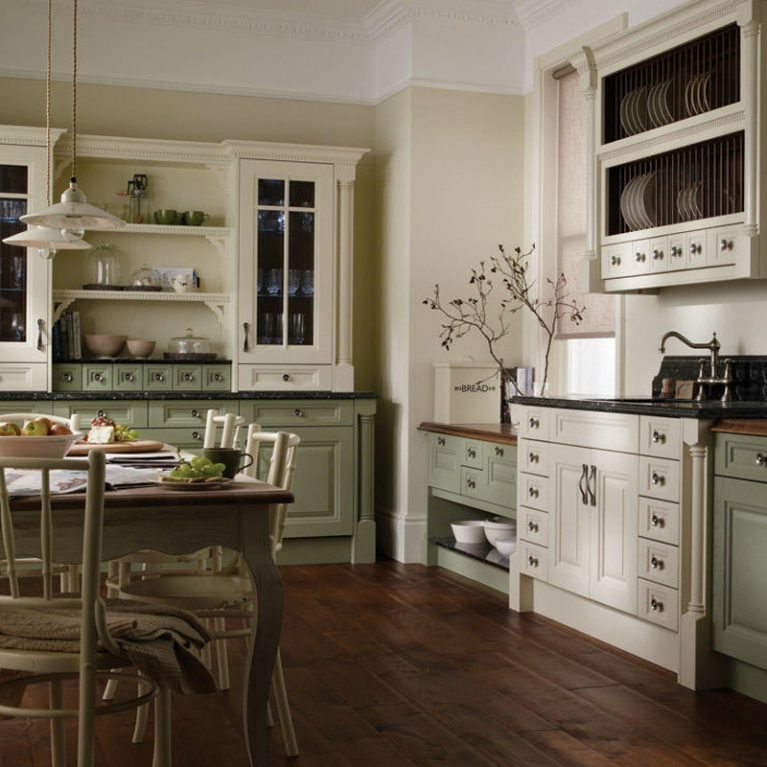 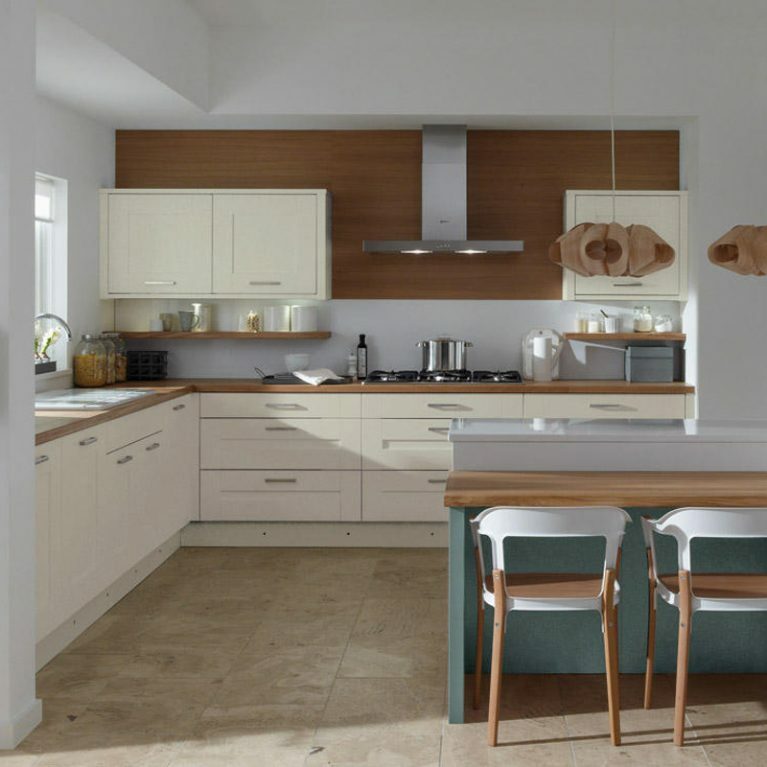 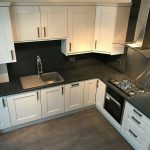 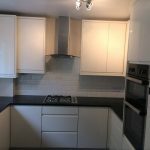 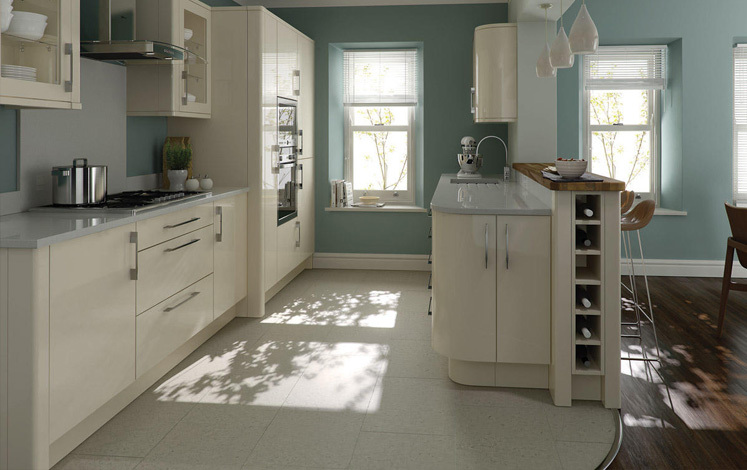 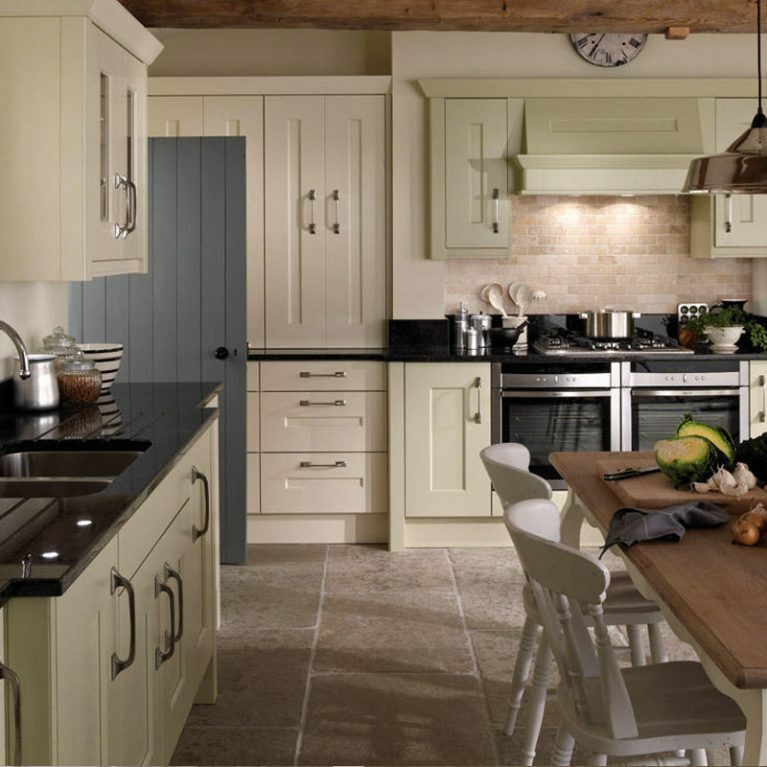 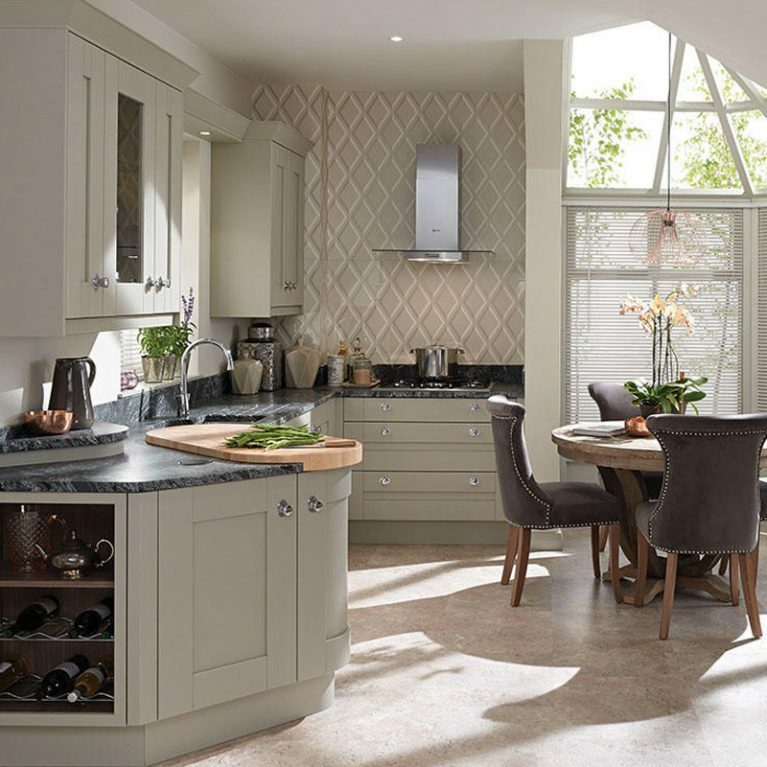 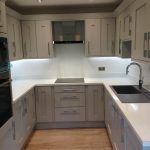 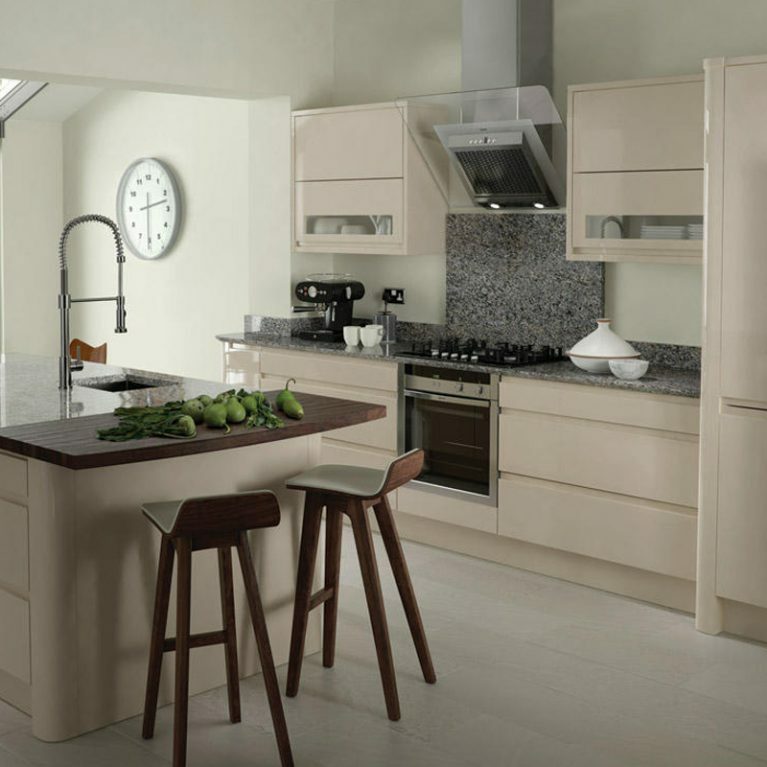 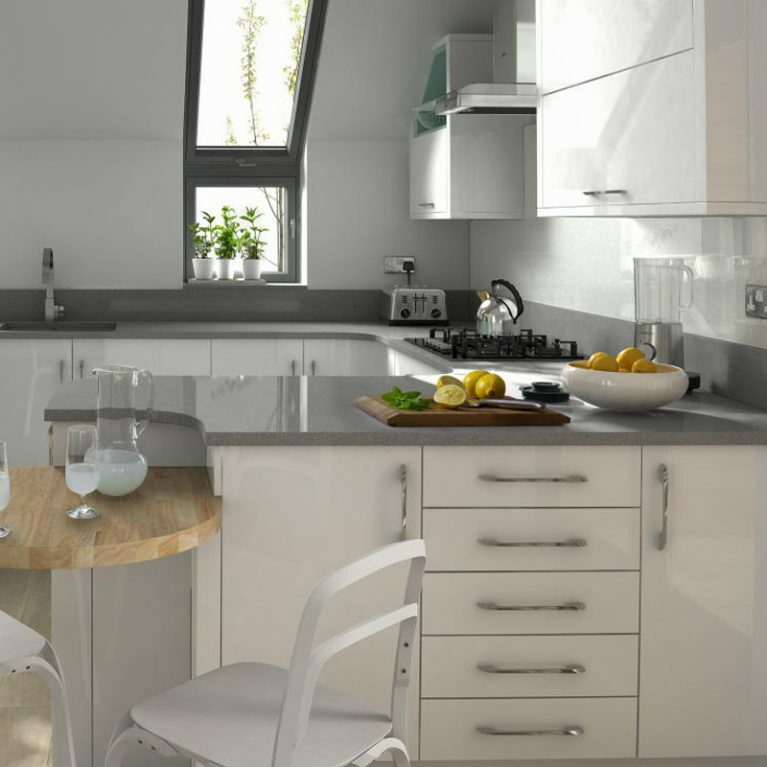 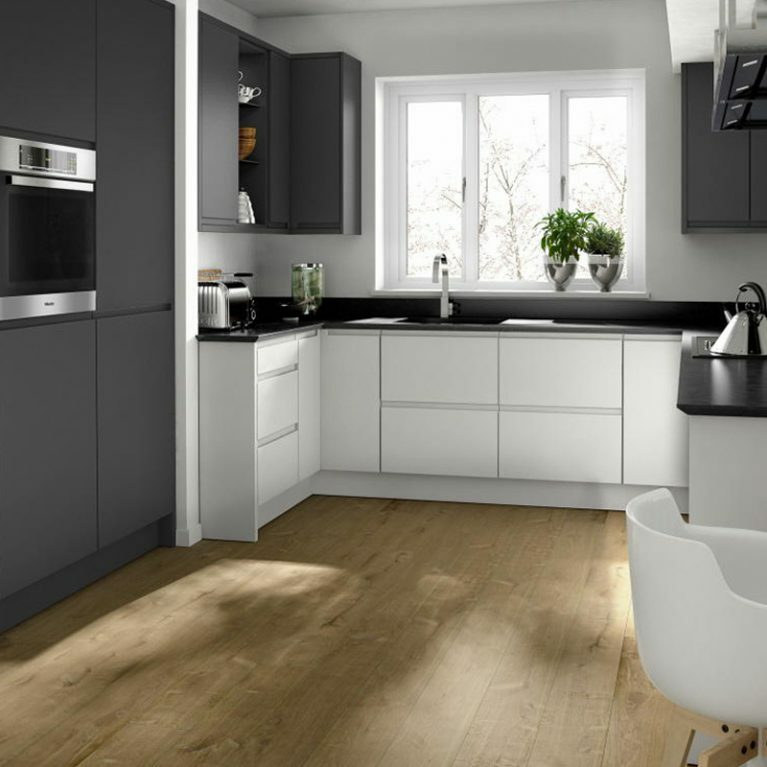 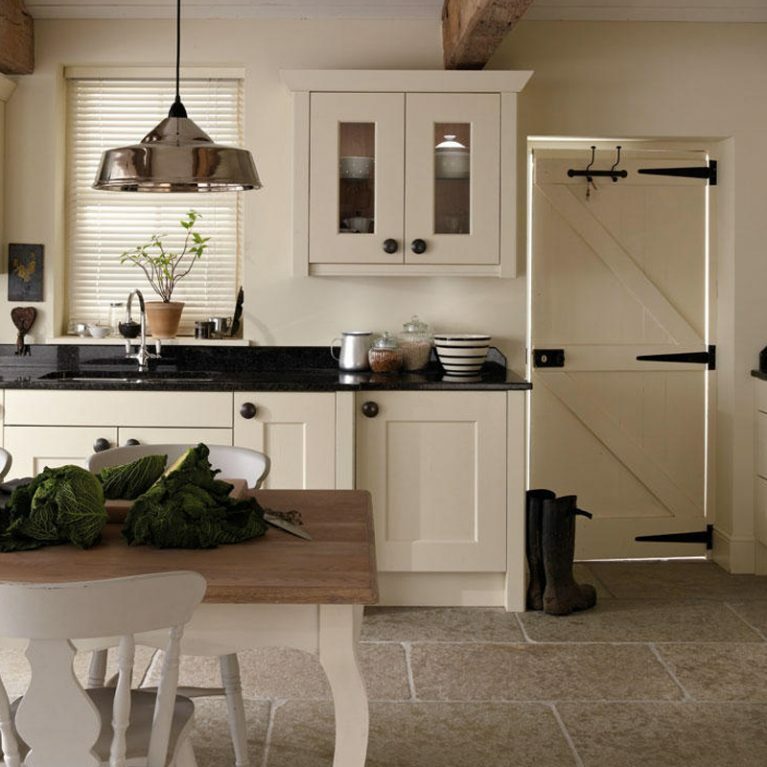 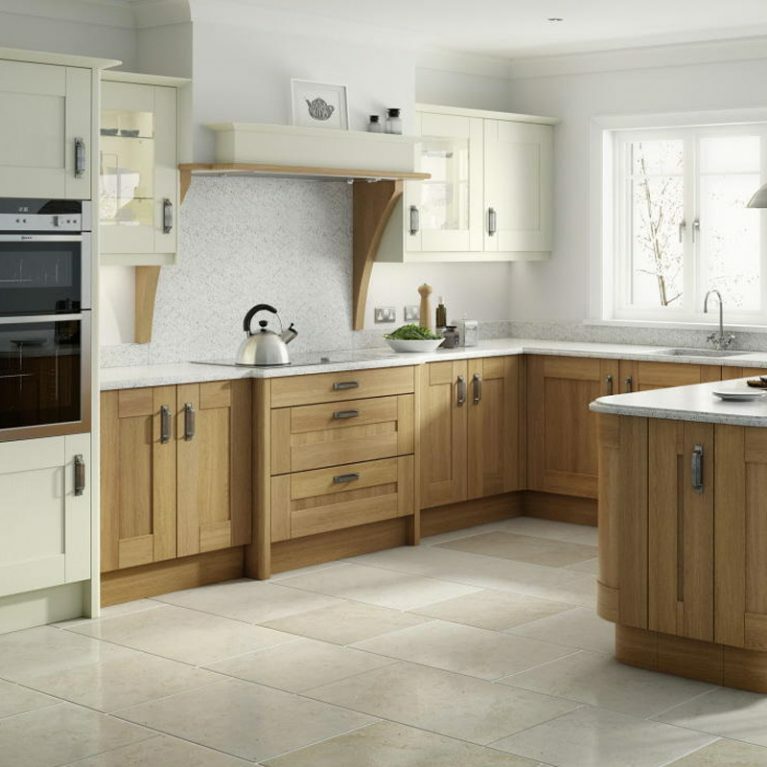 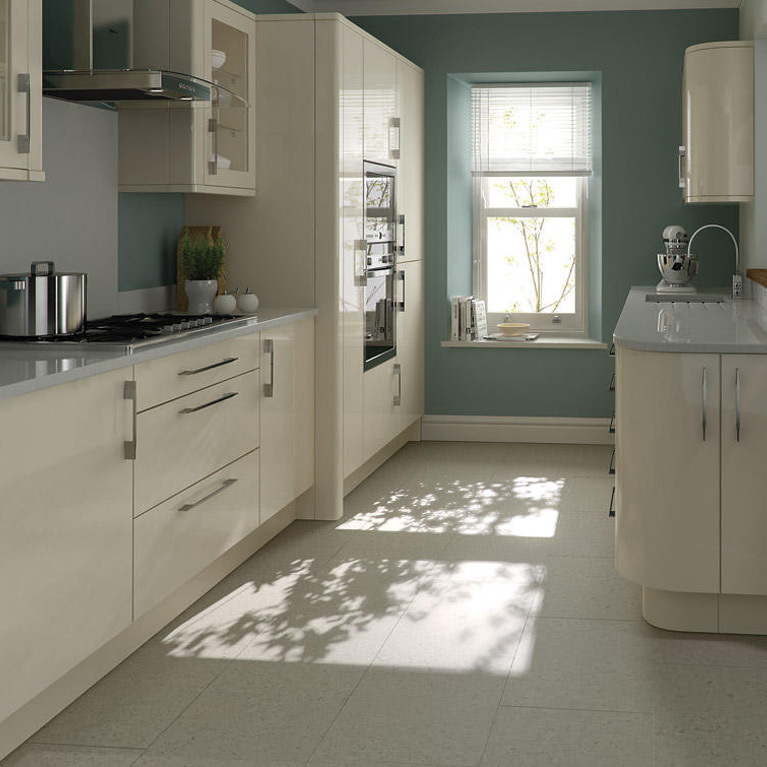 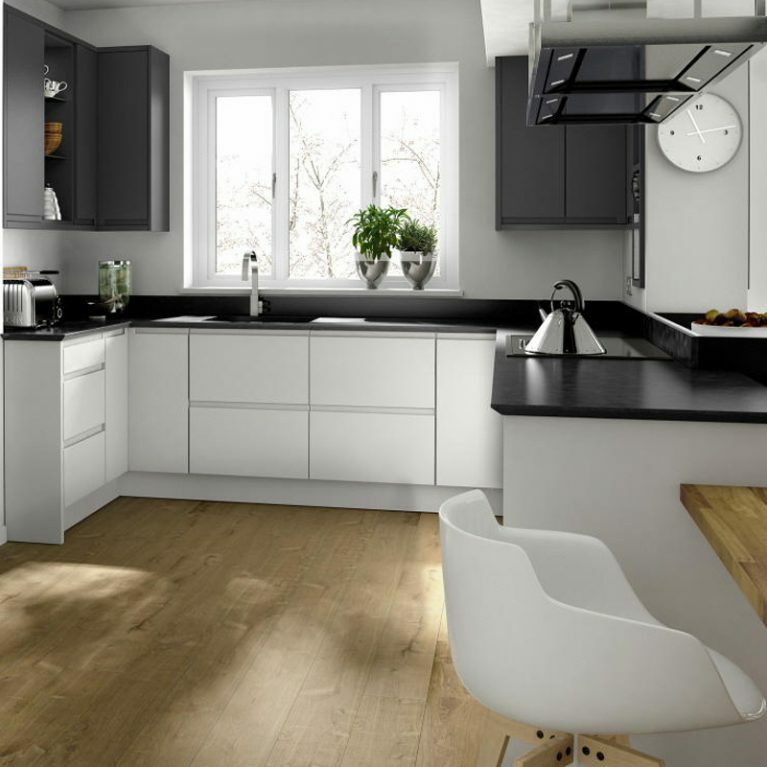 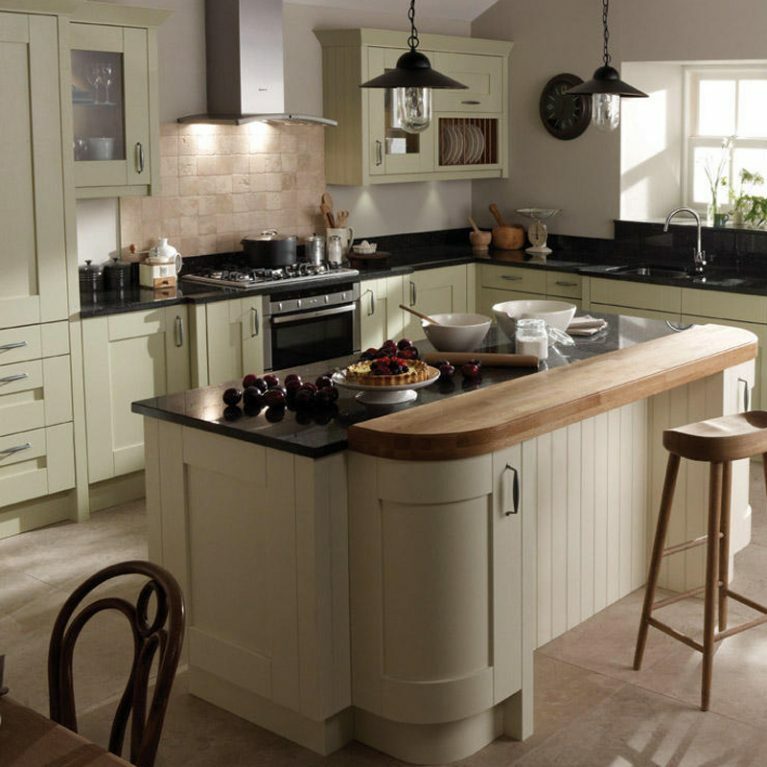 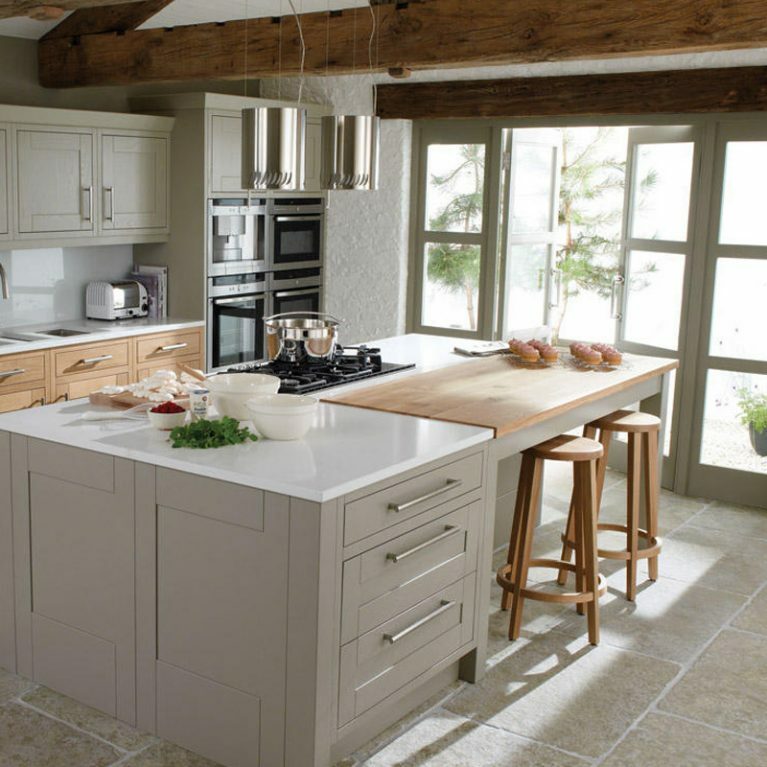 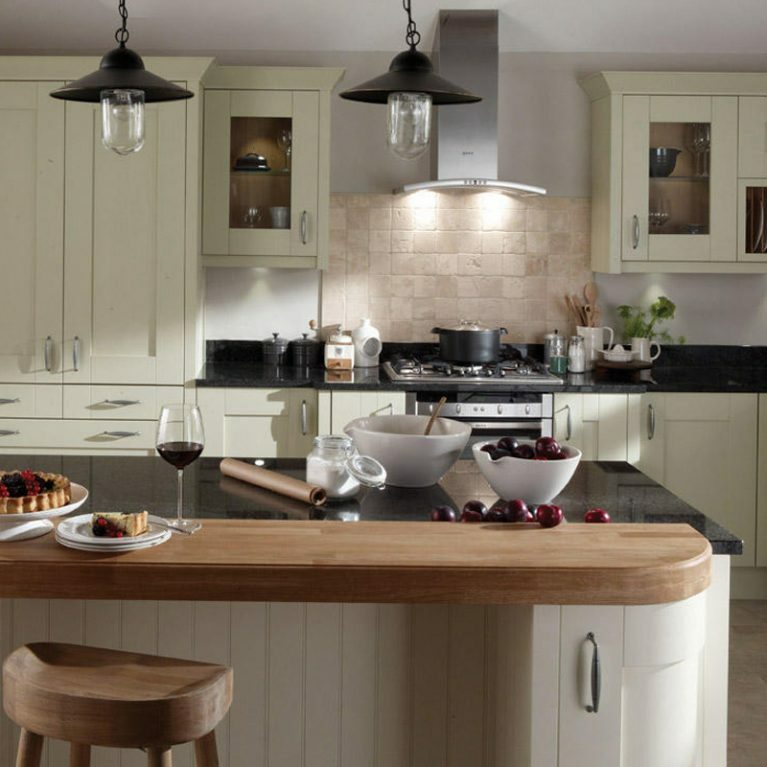 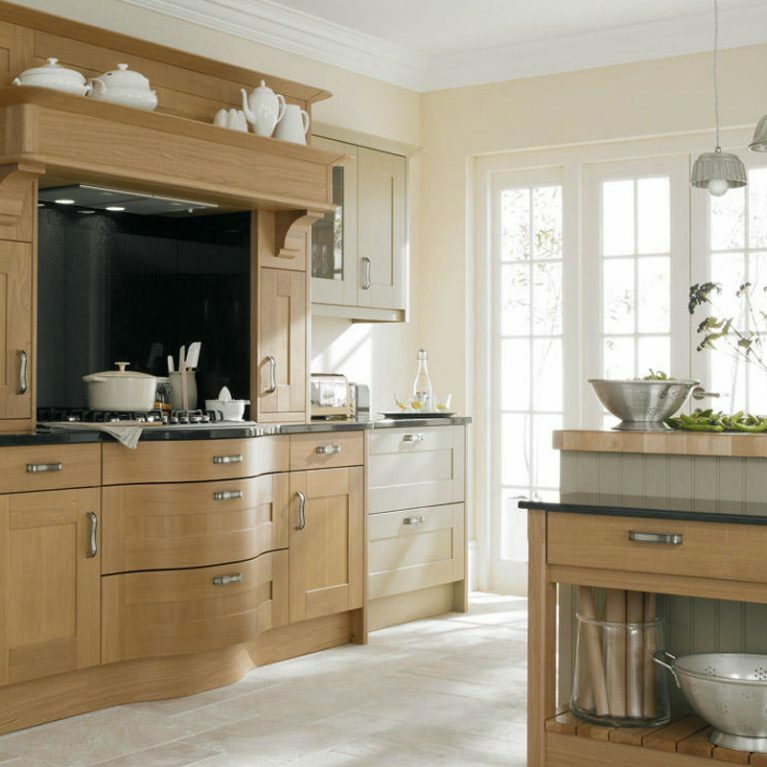 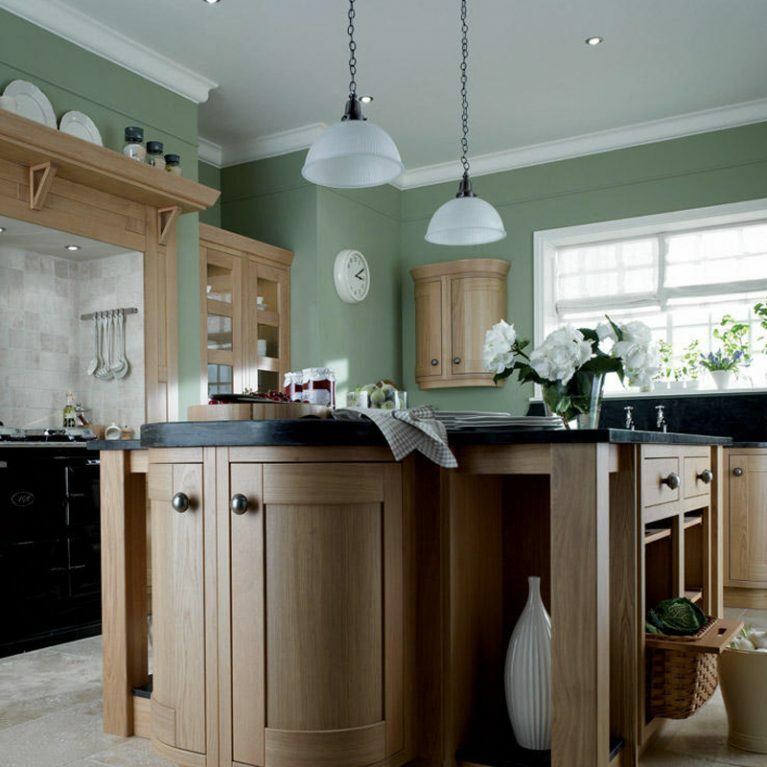 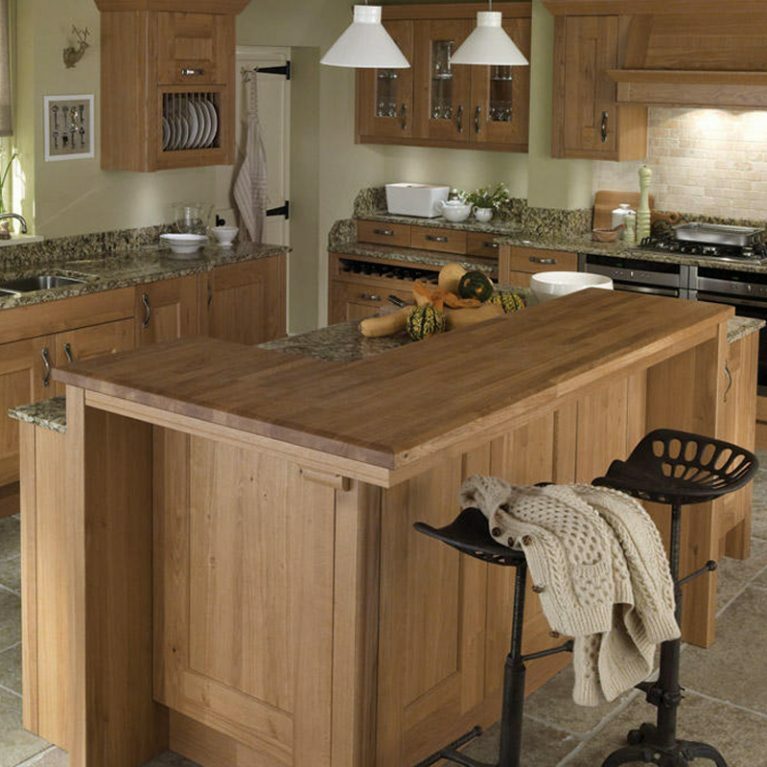 Contact Number One Kitchens today to get a quote on your new Porter Alabaster kitchen.